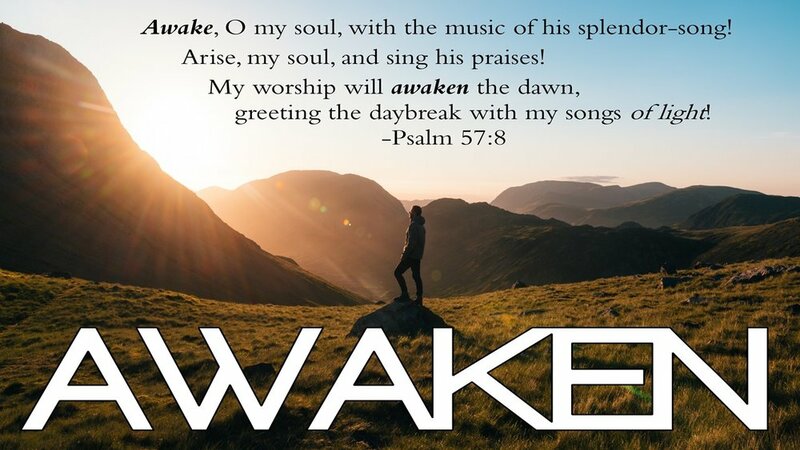 Awake, O my soul, with the music of his splendor-song! Arise, my soul, and sing his praises! My worship will awaken the dawn, greeting the daybreak with my songs of light ! August is here and Gateway is thrilled to share where we're going during this final month of summer. Our Sunday focus will include our students (Elementary-High School) as we celebrate Family services at 9&11am. We're believing for God's continued Hand of healing to touch us divinely. Our new sermon series: Awaken will be a 'hands-on' series with creative object lessons and memorable moments for all ages. Gateway is partnering with Faye Wright Elementary School for a Backpack Drive this month. Help us collect 50 new backpacks stuffed with school supplies. Ladies, look at the www.Gateway4.com site for info on Women's Worship Night, Girl's Night-Out, and other fun options. Men, this Saturday is breakfast at 8:30am, and a Wilderness Backpack adventure is planned for August 16-18. Youth will continue meeting on Wednesday nights, and a swim/hike trip to Opal Creek is August 11. Join us on August 22nd for an all church Prayer, Praise & Pie night. The Storehouse will be open August 8th from 1-4pm. Make sure to get a copy of the new August bulletin or get the Gateway4 app for more info.